Gymnastics journalist and (now) broadcaster extraordinaire Blythe Lawrence joins us to talk all about the European Championship! Maria Paseka’s Cheng. We have a necessary emergency therapy session about it. Spencer starts an entire sub-podcast about Nicola Bartolini’s tattoos, and it’s going to be long. What do we do about Alice D’Amato’s bars walking? Remember: Tickets to our live show from NCAA nationals—the Flipping Four After Party presented by Tumbl Trak —are on sale. 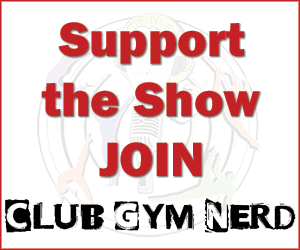 In addition to gifts for every attendee, t-shirts (while supplies last), and door prizes from our store, you can win a My Gym Judge session with Chellsie Memmel. Compliments of Precision Choreography. Get ’em while they’re hot. NCAA Regional Championships begin this Thursday with the new play-in meets and end on Saturday, when the 8 teams advancing to nationals will be decided. Spencer gives the rundown of what to expect—while trying to fit in as many SYTYCD, Madonna, and Laura Linney references as possible. You know, gymnastics content. Schedule here. 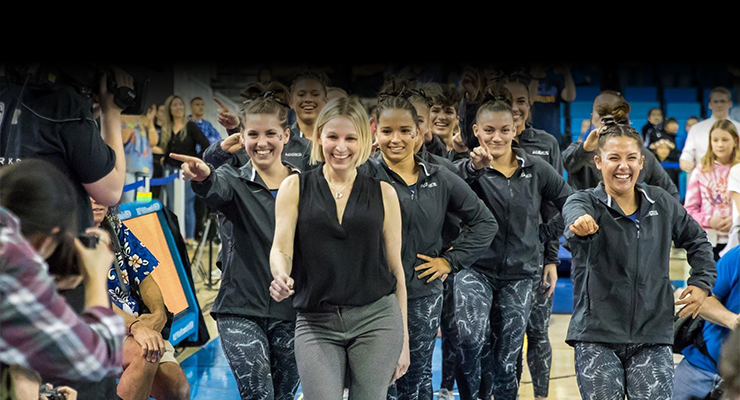 In her second season as head coach at Penn State, Sarah Brown joins us to talk about her time at GAGE, what it’s really like there, and what happens if you’re not turned out in the airport. Plus, the changes she tried to institute at Penn State after taking over at a program in turmoil, how transferring during her own college career informs her perspective on the athlete experience now, when we’re going to see a four-element beam series in the Penn State lineup (spoiler: it’s never), and whether Jessica is still allowed to call her Sarah of the Shire. Lieve Olivera was a Brevet judge from 1985 to 1996. She judged at world championships and world cups, has owned her own gym, was the media liaison at the 2000 Olympics, and has authored articles and given presentations on controversies in judging. 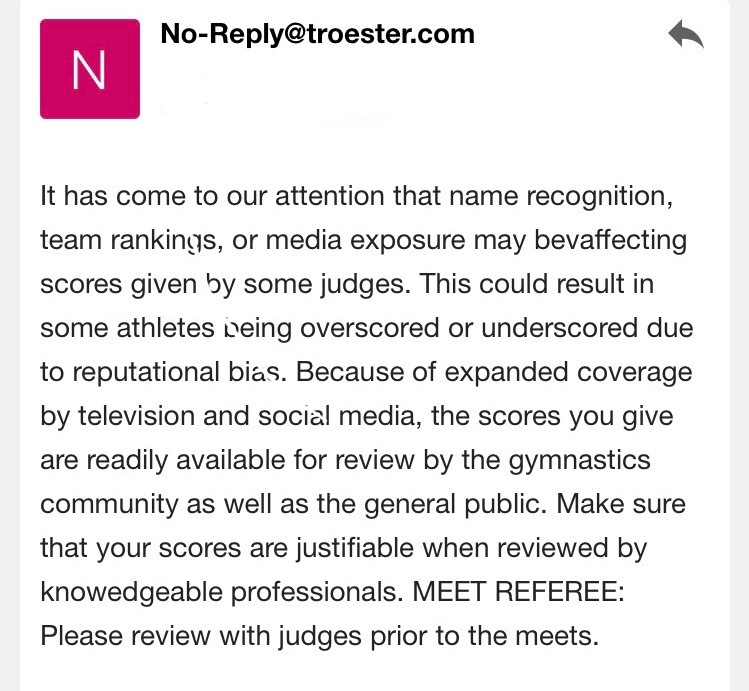 So we obviously need to talk a lot about college gymnastics—the differences between college and international, how judges go about trying to reconcile their deductions with the need to rank routines, how best to improve college gymnastics judging, and the deductions she would have for an example routine. PLUS, behind the scenes stories about what happened in 2000 after the vault debacle and after Raducan was stripped of her medal. Nick was a national coach for British Gymnastics who worked with everyone fro Ellie Downie to Amy Tinkler. He is now a consultant who has worked with 18 federations around the world, including Japan and the Netherlands (drink!). He emphasizes an athlete centered approach for longevity and high performance. Each year he shares his knowledge via GymCon which you’ve heard Jessica talk about one million times. Jessica asked him all of her burning technical, cultural and code questions. Remember: Tickets to our live show from NCAA nationals—the Flipping Four After Party presented by Tumbl Trak —go on sale to the general public on Wednesday March 6th. Get ’em while they’re hot. (47:18) Liubou Charkashyna, president of the FIG Athletes Commission, said American abuse survivors are in it for the money. Well fab. The senior day 10: Sweet or condescending? Men’s Program Clarification (4:55): Paul Ruggeri is the new athlete representative on the USAG Board of Directors. Steven Legendre is still the athlete advocate representative for the men’s team. 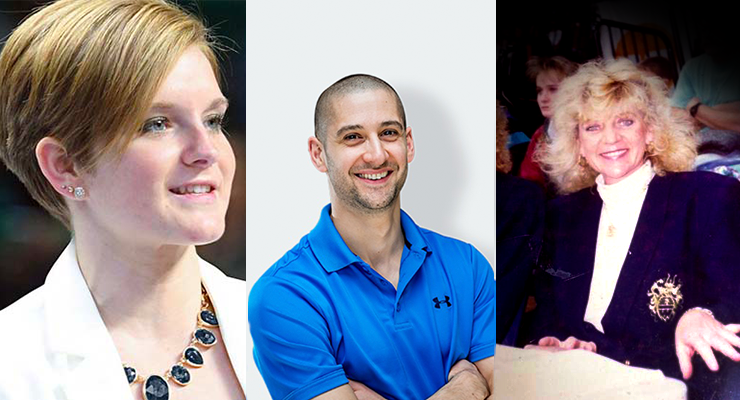 There were four whole world-medal-level gymnasts at the top of their games fighting for medals. At AMERICAN CUP. You guys. MATH NERD RAGE: Spencer discusses how Moldauer and Mikulak really should have tied, except the FIG doesn’t know how to math good. It’s the strongest he’s ever felt about anything. In which we learn what led Jessica to scream “THEY’RE DOING IT” in the middle of a Best Buy and then start crying. How to get your early release tickets for our live show at NCAAs. 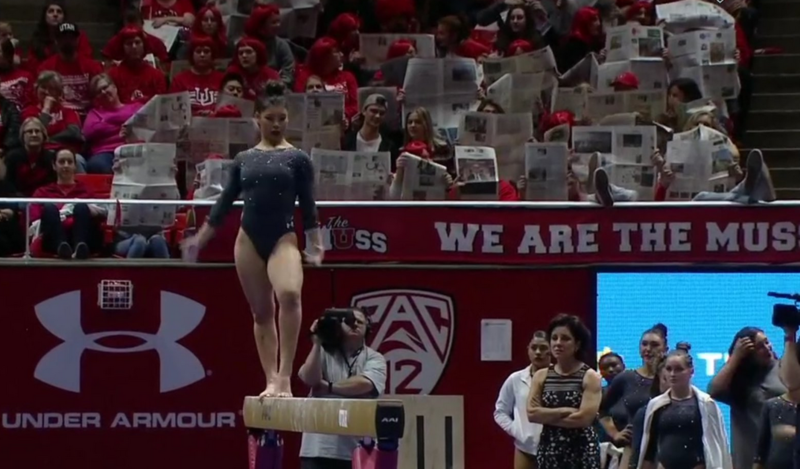 A shout out to Sarah Finnegan‘s right leg for its unwavering support during these troubled times. 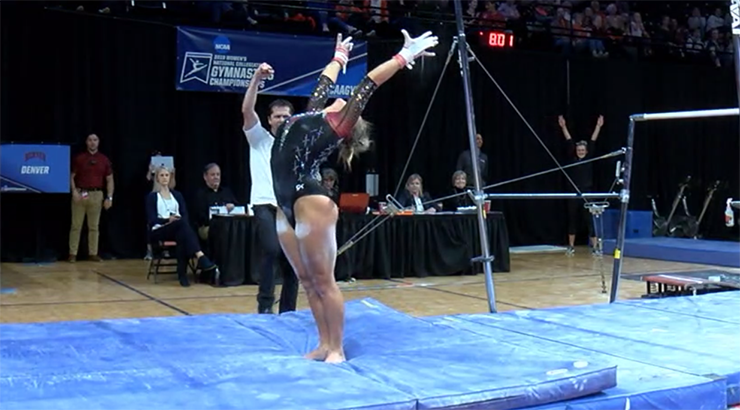 Vanessa Ferrari returned with a new floor routine that has Jessica soaring to the heavens. 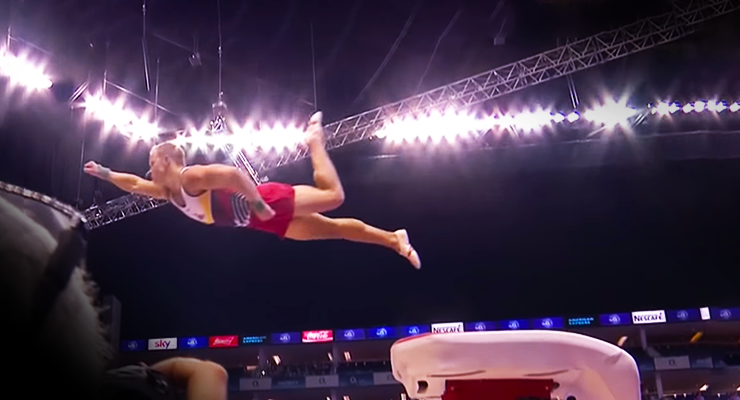 Plus, missed opportunities presented by the small women’s field, how China is cleaning up and coming for all your spots, Chris Remkes and the 6.9 D, our new favorite beam dreams, and a rundown of all the events, EVEN MEN’S. OLLY HOGBEN Interview (1:12:22). Jessica chatted with our favorite Olympic Channel maestro about how he went from drama teacher to gymnastics commentator extraordinaire, unintentional dismounts, puns, and other genius rules for being a kind commentator. Clear your schedules! No lives please! 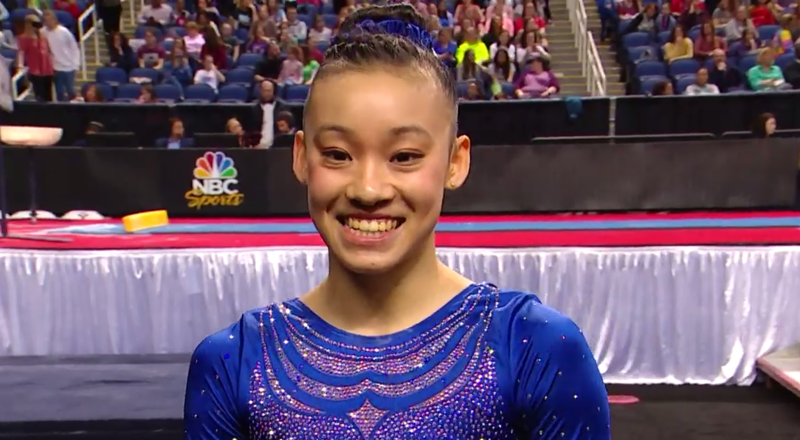 This weekend you have American Cup, Jesolo, the Nastia Cup, and UCLA/Oklahoma. 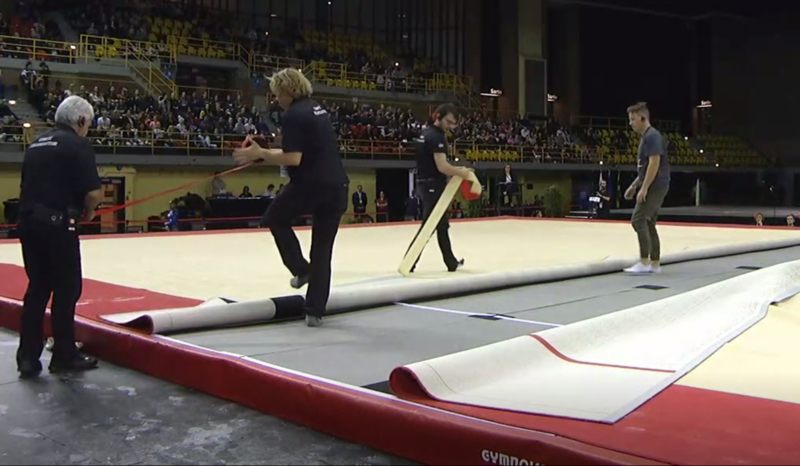 We discuss the announcement of the US rosters for Jesolo and Gymnix following national team camp. It’s almost time for our annual NCAA CHAMPS LIVE SHOW in Fort Worth—after the NCAA finals on April 20th. Listen for instructions on getting tickets. The new USAG President and CEO is Li Li Leung formerly a vice president at the NBA. We evaluate whether or not she is the right choice for USAG (another *cough* marketer *eye roll* and of course analyze, her actual gymnastics. Here are some of the former junior elite and University of Michigan gymnast’s routines FX, BB. Kenzo can do a piked Arabian double to a punch front double full. OF COURSE! Who made national team? Was it based on reality and results, or…nah? We talk to Christy (1:56:33) and Deanna (1:39:43) about becoming a professional photographer/videographer in gymnastics, what they’ve learned on the job, the specific coverage challenges gymnastics presents, how to be athlete respectful, and how we stop gymnastics articles from choosing the WORST photos of leaps.